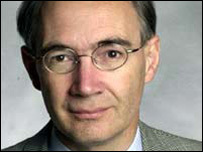 The Isle of Wight MP Andrew Turner is said to be improving in hospital after suffering a stroke. The Conservative MP was admitted to St Mary's Hospital in Newport on Friday and transferred to the neurological unit at Southampton General Hospital. Doctors treating the 53-year-old said he had had a serious stroke and was "clearly unwell" but improving. They were unable to say how long Mr Turner, who has been the island's MP since 2001, would remain in hospital. He added: "Mr Turner was taken to St Mary's by ambulance admitted and scanned. "After consultation with neurological surgery in Southampton, he was transferred to Southampton General Hospital's neurological Unit by ambulance and ferry. "He has had a serious stroke but he is starting to improve and he has started to communicate but he is clearly unwell."